To jump into a rough sea? It does not seem logical. Why such a cruel death after surviving all the misfortunes from long slavery? Why jump into the water after all that? 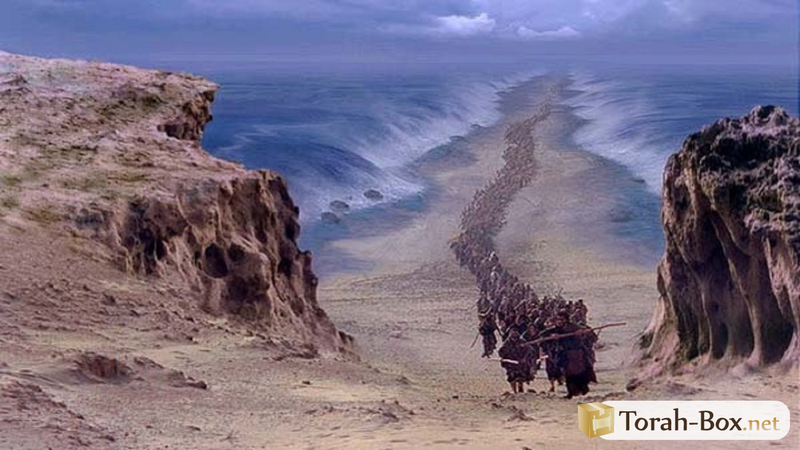 Hashem promised that if we enter the water, we will deserve miracles. What is on two-thirds of the world's surface? The sea, which seems to be the largest דומם (mineral. In Hebrew this term defines any place without any life) in the world, is not even one third. The Admor "Ateret Shlomo" describes in an exceptional way that all that is on dry land may also be found in the sea. And everything is full of life. Today, with underwater cameras, we can see that there are fish, plants, animals, corals and much more in the sea. 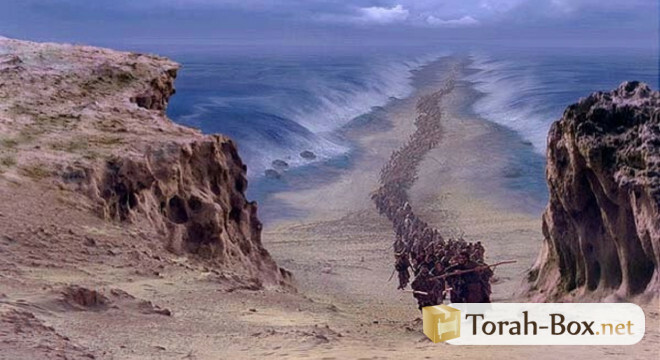 At the time of the Geula, miracles will unfold like at the splitting of the sea. Divine Providence which is now hidden, will be suddenly revealed. The sea will be divided into doors. Fruit trees will grow there. The water will be soft, the Reshaim will drown, and tzaddikim will be saved, and the joy will be immense. Nowadays too, we are asked to enter the sea of ​​life, which seems to be covered. How often do we have the feeling that we have been thrown into the sea? But when there are Emunah and Tefila, hidden paths are revealed in the sea. Among מניעות (obstacles), fruit trees suddenly sprout. Hard and painful rocks on the heart, suddenly flow into the water. Special envoys appear at misleading crossroads and direct us to the right path. During Pesach, an abundance of Emunah descends into the world. "And you will believe in Hashem and Moshe His servant." Emunah in Hashem and Emunah in a Tzaddik. On Seder night, a ray of life descends into the world. And we, who every day, are almost "dead" from fear and worry, deserve this lease of life. There are many material preparations for Pesach, but also spiritual ones. When there is an attachment to a tzaddik, there is a true Pesach. Who will deliver us from slavery? Who will split the sea? Who will walk us? Only the merit of tzaddikim; the extension of Moshe in every generation, as the Zohar Hakadosh tells us. Tefilot, getting close to a tzaddik and sincere Emunah are the three principles of the festival called the "Festival of Deliverance". With G-d's help, even when we jump into the turbulent sea, we have the obligation to remember that we are not alone and that a pillar of fire accompanies us and lights up the way for complete deliverance.